A friend has this stunning wrapping paper she wanted to use and asked if I could make a card to match. The paper was black and white and she had added some ribbon and a small red butterfly as a decoration. From my stash I found this pretty collage stamp, I used some watercolours to add a little bit of red to the butterfly body then covered it in Wink of Stella for sparkle. She was looking for a black and white card but I could not resist adding a very thin layer in the frame to highlight the colour from the butterfly. 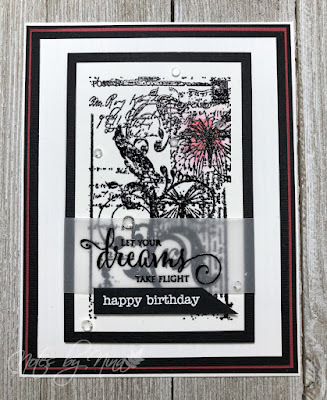 I heat embossed part of the sentiment in black on vellum then added the additional Happy Birthday heat embossed in white on a piece of black cardstock. I finished with gems. The collage panel is popped up with foam tape to add dimension. 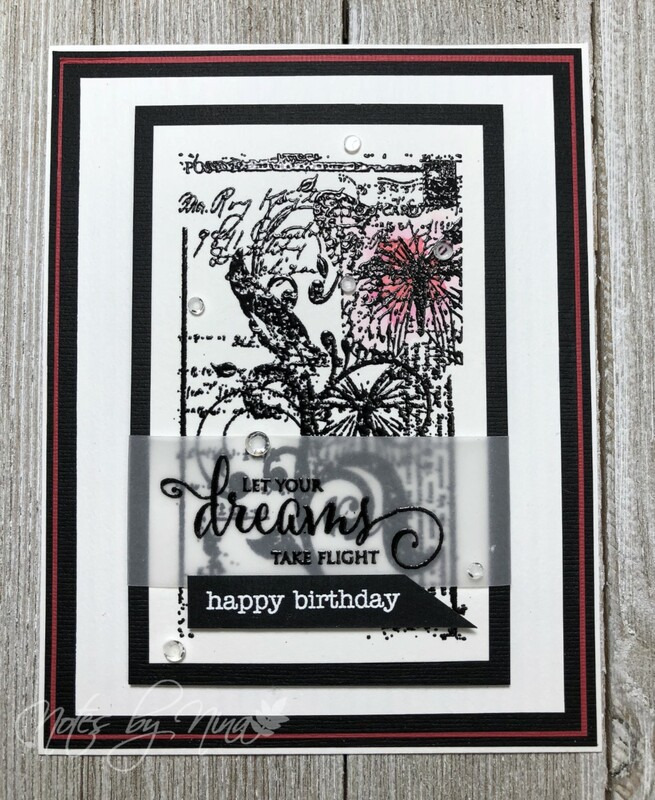 Supplies: White, black and red cardstock, Stamp-It-siset020mc,Penny Black- snippets gems.